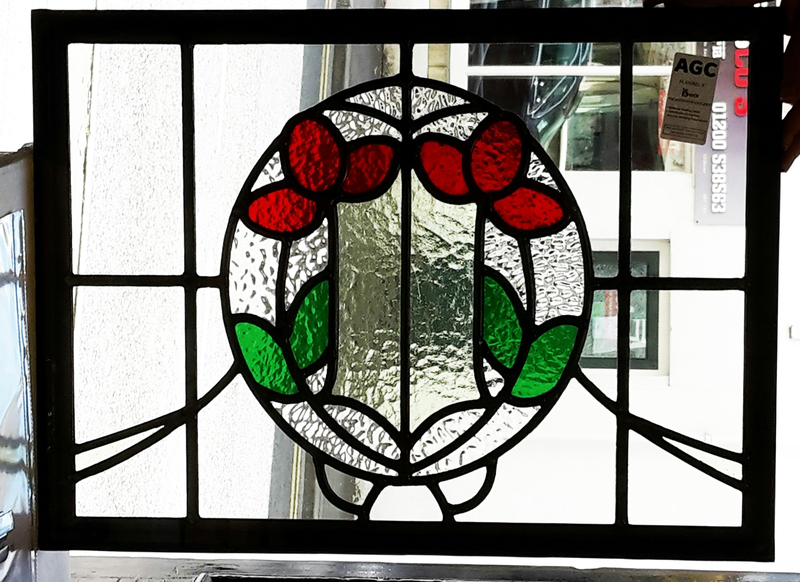 We are often approached by clients wishing to have their existing or newly produced panels of stained or leaded glass encapsulated into double glazing. This is a process we undertake regularly. Existing leaded lights are carefully removed from their settings for transportation to our studio. Here, they will undergo one of two processes depending on their overall condition. If the panels are structurally sound, preparing them for encapsulation is reletively simple and involves cutting down the edges of the glass and fitting new “Y” section lead to the perimeter of the panel. Should the panels be deemed to be in a poor structural condition we will consider fully re-leading. The stained glass panel is then thoroughly cleaned and polished ready for double glazing. Encapsulation into the double glazing unit is a process whereby the leaded panel is clamped inside it (effectively making it triple glazed). It can be toughened or laminated to meet safety regulations in impact risk zones such as doors and low windows and we specify energy efficient glass such as Planibel “Low E” as a matter of course. The benefits of this process are that sound and heat insulation are greatly improved along with general security of a property and protection of the glass itself. It is also a means to retain original glass where a client wishes to replace their old timber frames with new UPVC. Encapsulated stained glass can be installed back into timber frames providing an allowance for the thickness of the unit is made. While Lightworks do not manufacture or install frames we liaise closely with a number of companies who do provide such a service both in terms of UPVC and timber. Our image shows one of a set of 5 windows produced on behalf of a client in Manchester. 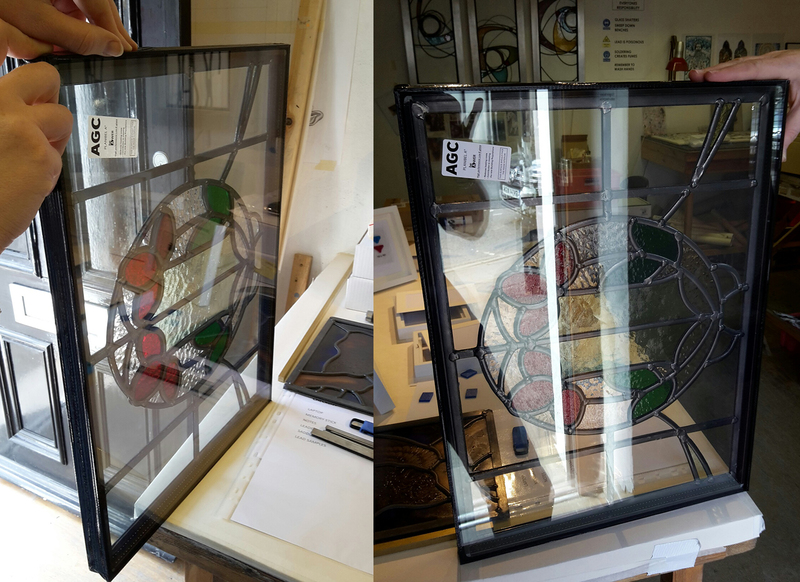 The panels have been produced to replicate their original bay window top-lights and have been encapsulated ready for installation into a new hard-wood frame.